It can be a challenge to find the right hosting provider for your (or your client’s) website – even more so if you are just starting out. Having said this, I have worked with many of the popular hosting platforms in the past couple of years, and have had some very painful experiences which cost me a lot of money. When your website goes down or you experience any technical glitches, it always affects the user experience, and you will usually lose money in the long run. So if you want to set up a website that you are serious about, you need to find a hosting service provider that provides you with top-notch services and support. The Facebook group “WordPress Hosting” is a closed group dedicated to just WordPress hosting with more than 10,000 active members. Each year its members vote for their favorite web hosting service provider. Are you able to guess which of the WordPress web host received the most number of votes? SiteGround! That’s right. It has been voted as the #1 host for WordPress websites, and that for 2 years in a row, first in 2016’s poll and then in 2017’s poll.2. 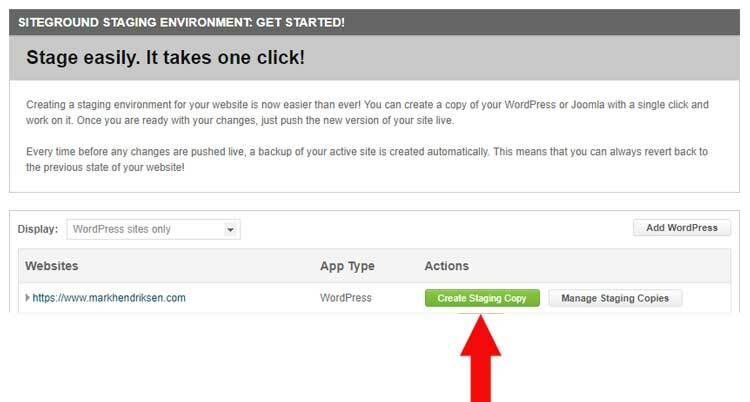 SiteGround is recommended by wordpress as a hosting platform for your website. SiteGround’s speed is one of the biggest reasons why people choose them. They use a powerful combination of 1-click Cloudflare CDN, SSDs, PHP 7.3, NGINX servers, and HTTP/2 servers. Not just that, their Supercacher and SG Optimizer plugin further improves the site load times. Let’s go over each of these features one by one. CDN – a Content Delivery Network (or CDN, in short) is a network of web servers that deliver web pages to a web site’s users based on their specific geographic location, thereby increasing the website load speed. 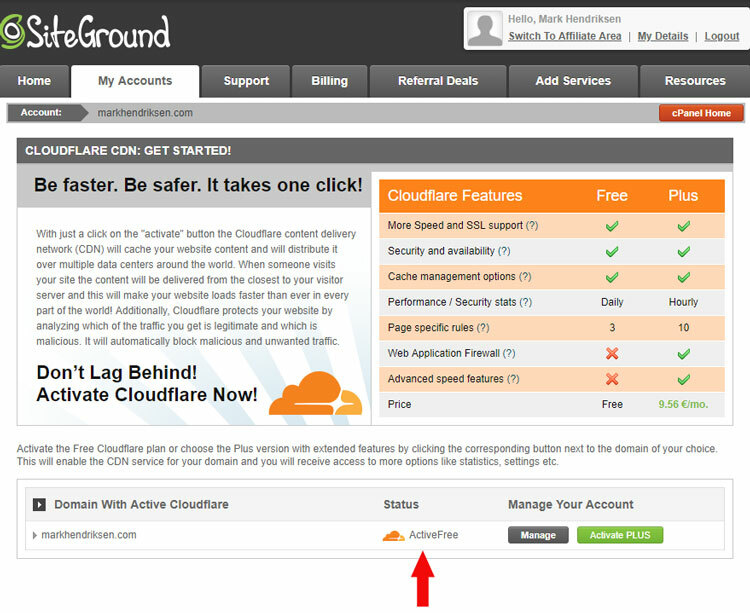 SiteGround uses a popular CDN, CloudFlare, as its CDN provider of choice. SSD – Solid State Drive is a storage medium that is much faster than a regular Hard Disk Drive (HDD). SiteGround offers SSD to every customer on all of its servers, regardless of the account size of the customer. NGINX – is a popular alternative to the age-old Apache web server. It offers better site speed, thanks to its far leaner architecture. HTTP/2 – is a revision to the HTTP network protocol and using this further boosts website performance. PHP7 – this version of PHP is the latest and offers more speed benefits. You can select it from Control Panel in your SiteGround account if you wish to use it. SiteGround also offers it’s very own SuperCacher and SG Optimizer plugin, that is exclusively available to SiteGround customers only. Using these will let you increase the number of visits your website can handle at a given time. This means your website will always load faster, even in case you have a sudden burst of unexpected web traffic on your website. In fact, I performed a page speed test with Pingdom for one of my websites and the results were fantastic, thanks to the SuperCacher and SG Optimizer plugin. The homepage loading speed using Pingdom went from 5.83 seconds down to 430 milliseconds after I moved to SiteGround and enabled the superCacher and SG optimezer plugin. As you might know, WordPress actually recommends using a Content Delivery Network such as Cloudflare in the WordPress Speed Optimization Guide. Cloudflare CDN caches your website’s content and then distributes it over various data centers across the world. 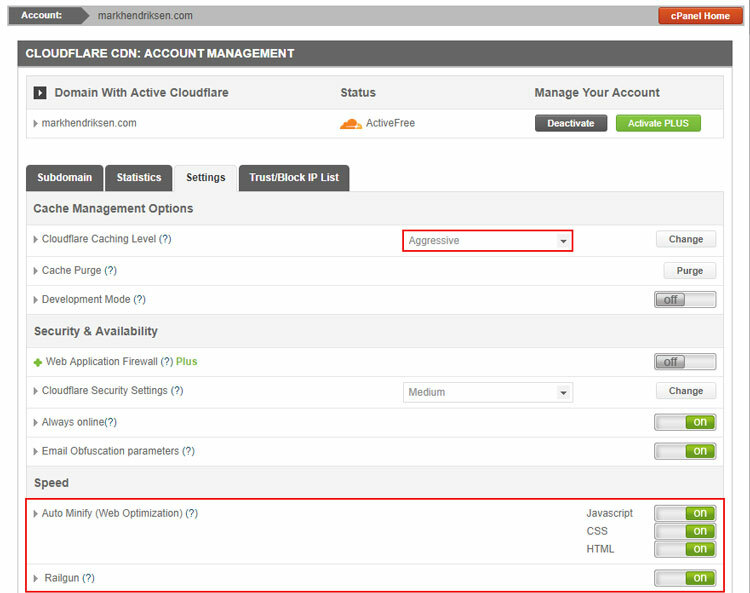 SiteGround offers Cloudflare CDN for free with each of their plans, and you can choose to activate Cloudflare in the cPanel of your SiteGround hosting account in just 1 click. Next, you go to the ‘Settings’ tab and change the Cloudflare settings to use “Aggressive Caching”, do minification of the static resources, and also activate Railgun to boost the connection speed between the Cloudflare CDN and the server. Without a doubt, using these settings will improve your site’s load times. It goes without saying that security is something all webmasters should always take very seriously. SiteGround provides you with the best and most reliable security options available. You still have to ensure your site’s safety, but some of their security features make them stand out from the crowd. Site Isolation: This feature will ensure that your website is not impacted in case there is a security breach on one of the other websites hosted on the same server. You can consider it like a robust hosting firewall which will protect your website from the world of hackers. HTTP/2: All of SiteGround’s servers support the HTTP/2 technology, which makes websites much more secure. Though many other web hosts are lagging in adopting this technology, but not SiteGround. WAF: All of SiteGround’s clients get the added benefit of having an active Web Application Firewall (or WAF, in short). It protects against all kinds of security breaches and it’s updated fairly regularly. Proactive Security Patches: All SiteGround hosting accounts receive proactive patches as soon as new security threats emerge. Not just that, they also perform regular malware and virus scans on your website and share the results with you. This way you will always know how your website is doing in terms of security. With this feature, you can easily create a staged copy (or backup) of your website in just a single click. This means you can make multiple edits to your website before pushing the new changes to your live website. Currently, this feature is only available with their GoGeek Plan. SiteGround provides industry-leading help while new account onboarding, completely free website transfers, in addition to ongoing support and assistance which you can avail any time via chat, phone, or email. This is why they consistently ensure close to 100% customer satisfaction rates! Any hosting service provider can have a state-of-the-art technology and decent security. Having said this, it doesn’t amount to anything when anything goes wrong with your website. This is where customer support comes into the picture and that’s why it matters the most. SiteGround prides itself on their client support. They consider customer service a top priority for their business and it reflects in their user reviews and their clients’ loyalty. Their live chat system helps you get immediate access to their support teams and is accessible 24 hours a day. Their phone support staff is available round the clock and you can expect to get an instant reply. Another way to access their support staff is to submit a ticket. With this option, you can expect a reply within 10 minutes or even less in case you have purchased their priority services. 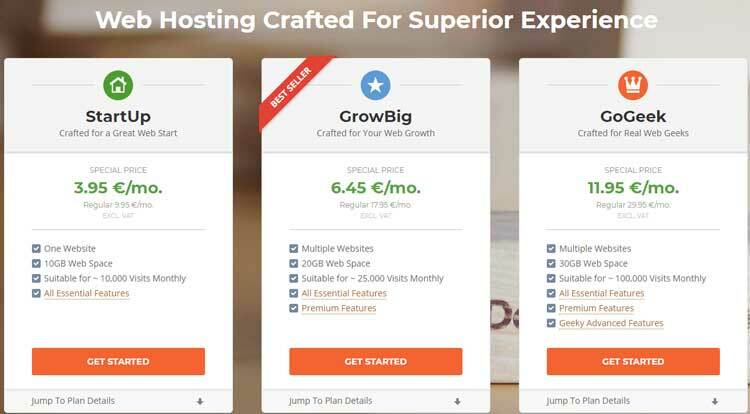 With their StartUp plan, you will be able to host only one website at a time. This plan comes with a basic support access round the clock, in addition to daily backups, and static caching. The GrowBig plan offers more server resources (which means faster loading website), plus you will also get priority support, 30 daily backups and dynamic caching. Their GoGeek plan offers as much as 4x more resources as compared to other plans. Not just this, you can even create a staging website using it. You also get their premium site backup and restore services, along with a free PCI compliance service. SiteGround offers best-in-class features for WordPress websites, reliable support options, and a fairly competitive pricing. Their SuperCaching feature is yet another bonus and that coupled with their super fast page load times makes it a sweet deal. This is why I highly recommend using SiteGround for those who want a reliable web host that can support a growing website. So what are you waiting for? Check out their hosting plans and see which one fits the bill. You can never go wrong with SiteGround!